One of the joys of organizing October: Unprocessed has been the relationships I’ve been cultivating with both readers and companies. I’m also happy to connect my readers to like-minded companies who I believe are doing good work to improve the foods we eat (and so far I’ve received no compensation for this, other than an occasional free sample). Of course, I wasn’t able to squeeze everything into October, so I’ll continue to do a few followups (and giveaways!) over the coming weeks. One such company is Green Valley Organics, which offers lactose-free, organic dairy products. Jennifer Bice, the company’s owner, has graciously answered a few of my questions, and has also offered to sponsor a giveaway! Read on, and then scroll down for details on how to enter. What’s the story behind Green Valley Organics? Green Valley Organics may be new to the dairy case, but I am not new to the dairy business. My parents founded Redwood Hill Farm & Creamery, Inc. more than 40 years ago and my family has been producing award-winning cheeses, yogurts and kefirs made from easy-to-digest goat milk ever since. I’m proud to continue my family’s dedication to digestive health through wholesome dairy with the launch of new Green Valley Organics Lactose Free yogurt and kefir. We receive calls every day from consumers who are looking for ways to enjoy all the health benefits of dairy without the tummy troubles many experience after eating it, and are happy to provide Green Valley Organics as the first lactose free real dairy option available nationwide. What are some of the advantages of organic dairy products? “According to recent studies, organic milk generally contains higher levels of beneficial nutrients, vitamins and antioxidants than milk from non-organic cows. Letting cows graze naturally, using a forage-based diet, is cited as the most important reason for the differences in the composition between organic and conventional milk. Each product we make uses fresh organic cow milk from Certified Humane Raised and Handled® farms, considered the gold standard in third-party certification for humane treatment. 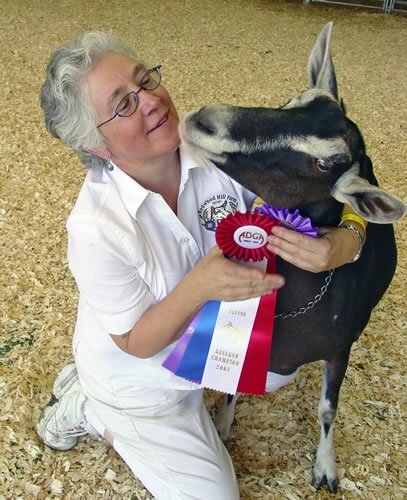 To achieve certification, the use of growth hormones and antibiotics is prohibited; animals must have ample space, shelter and gentle handling to limit stress and must be free to do what comes naturally. Producers must comply with food safety and environmental regulations and meet all Certified Humane® standards throughout the life of the animal. Why is lactose such a problem for people? Lactose intolerance is a fairly common condition that people suffer from when they can’t properly digest lactose, which is the sugar found in milk as well as in cultured products, like yogurt and kefir. When this milk sugar goes down into the intestinal tract it is digested by the bacteria that is there, causing uncomfortable bloating, gas and diarrhea. Some people may be able to tolerate a quarter or half a cup of milk, while others may experience severe discomfort about 30 minutes to two hours after having just a small amount of dairy. How do you make your products lactose-free, and how, if at all, does it change the nutritional value of the foods? To create these first-of-their-kind products, the natural enzyme lactase is added. Lactose intolerant individuals do not produce lactase and therefore cannot digest the milk sugar, lactose, in dairy. When added to the milk the lactase breaks down the lactose into the easily digested simple sugars glucose and galactose. No chemicals are used and the nutritional composition of the milk is not altered in any way so consumers still get all of the great taste, calcium, protein and B vitamins of real dairy without the unpleasant symptoms of lactose intolerance. How is the lactase enzyme produced? Could I do this in my home kitchen? The lactase enzyme is produced by fermentation of an organism. The resulting enzyme released is lactase which is captured from the fermentation vat. The quantities for sale are quite large — our provider requires a 20 gallon minimum order — as is the commercial equipment required, so producing the lactase enzyme in order to start making your own lactose-free products is unfortunately not something that could easily be done at home. Every product we make is as natural and unprocessed as possible. We never use coloring, preservatives, or stabilizers in any of our products and employ sustainable and earth-friendly practices at every stage of production at our solar powered creamery. In addition to being organic, certified humane, low fat, kosher, GMO and gluten free, Green Valley Organics is also the only dairy brand to offer Flourish™ — a custom blend of 10 live active probiotic cultures that promotes optimal digestive and immune system health. Flourish delivers eight more health-promoting live active cultures than the USDA’s yogurt requirement of two. And because Green Valley Organics has no lactose, it has less sugar — great news for anyone counting carbs, especially if they’re diabetic. The sugar content in one serving of our natural plain yogurt or kefir is four grams as opposed to about 11 in a comparable non-lactose free product. Ten lucky winners will each receive a coupon for two cups of Green Valley Organics’ Yogurt, a bottle of their Kefir, and a “Peace, Love, Dairy” bumper sticker. To enter, simply leave a comment on this post, and tell everyone why you’d like to try Green Valley’s products. For another entry, tweet about the giveaway, including a link to this post and @eatingrules. (Just hit the “Retweet” button at the top of the post). Then come back here and leave an additional comment with a link to your tweet. For another entry, share this post on Facebook. (You can hit the “Share” button at the top of the post.) Please leave an additional comment to let me know you’ve shared it. Limit of three entries per person: One for your original comment, one for tweeting and posting an additional comment, and one for sharing on facebook and posting an additional comment. I will be picking the winners from all of the comments received, so please be sure to leave a comment for each type of entry. Contest ends at 11:59pm PST on Wednesday, November 10th. I’ll go to random.org and pick the winners shortly thereafter. I will then notify the winners via email, and request their mailing addresses (so Green Valley can mail your prize directly to you). Winners will have four days to reply with their mailing addresses, or I will pick a replacement winner from the list. Although you may enter up to three times, you may only win once. Odds of winning will depend on the number of entries received. Offer void where prohibited by law. I’d love for my husband to try it so I don’t have to deal with the usual aftermath when he eats/drinks dairy! I have a huge issue with dairy and would love to try these! Ive never heard of green valley organic. So excited! Huh? I don’t get it. The milk has less sugar because lactase has been added? Lactase cleaves lactose into glucose and galactose, which are still present in the milk, right? The monosaccharides aren’t removed are they? If the glucose and galactose are still there, how is it that there is now less sugar? Are monosaccharides counted differently on nutrition labels than disaccharides? Is this particular milk, before lactase addition, generally lower in sugar to begin with?